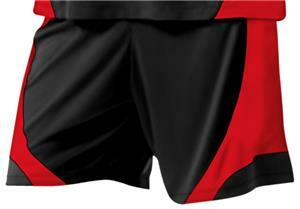 A4 Women's Moisture Management Color Block Shorts feature 100% polyester interlock. Moisture Wicking, Odor Resistant, and Stain Release. Ultra tight knit resists snagging. 7" inseam. WAIST 26" - 27" 27" - 28" 28" - 29" 29" - 30" 30" - 31"
Great overall shorts, true to size.